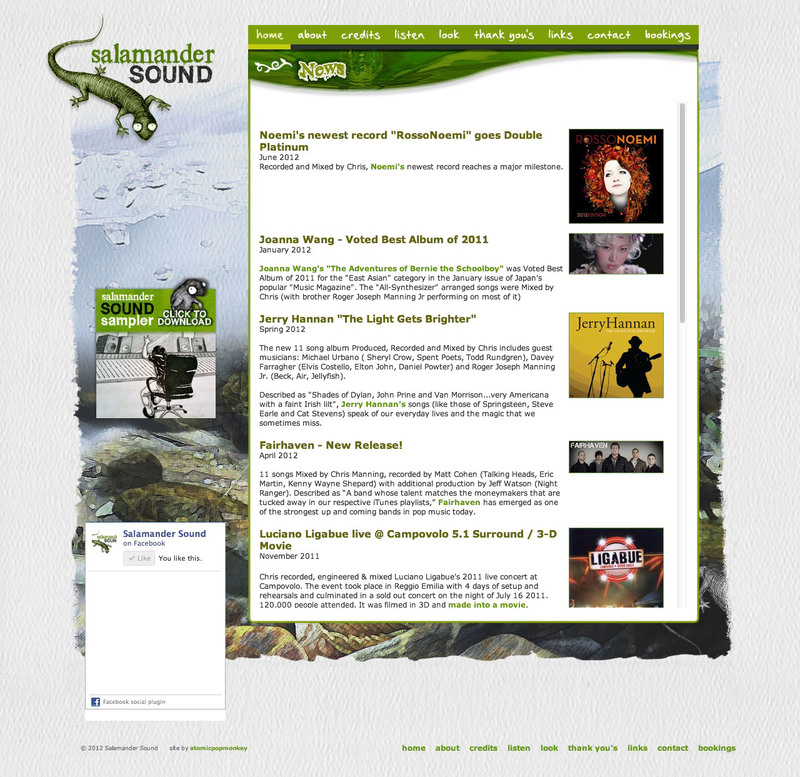 Chris Manning contacted me to update and rebrand his site Salamander Sound. Using illustrations by Elena Buono as a starting point, I created additional elements such as the background and type treatment to bring Chris' vision to life on the web. The goal was something that combined the analog world with the digital one, with fluidity.